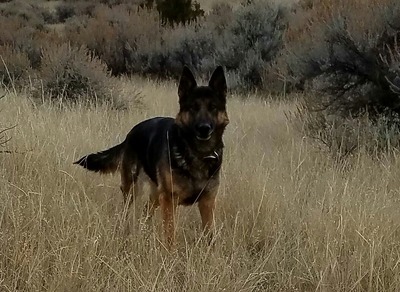 Charli is a lively black and tan female of medium build and huge working drives. She is highly intelligent and willing to work with super temperament and strong nerves, open to other people and animals. 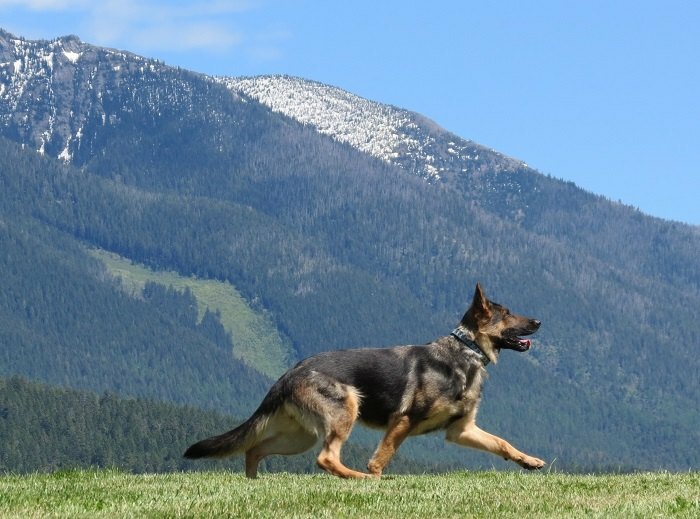 Her tracking and obedience are very good and her protection work demonstrates strong stable aggression. Hunt drive is strong. Her excellent working genetics will produce pups suited for the experienced handlers of LE, SAR, Sport dogs to family needs. 2009 World German Shepherd Championship competitor in Germany, 8th place female. 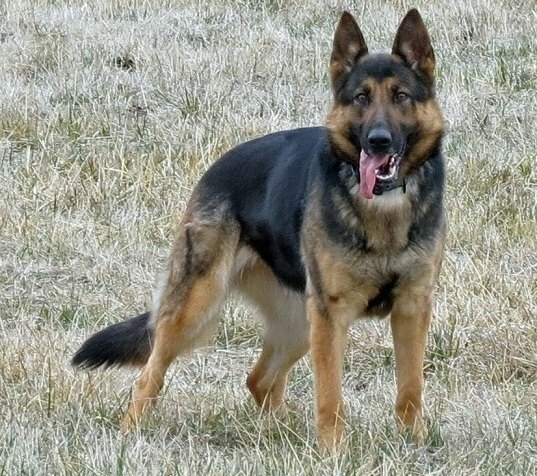 2009 Canadian German Shepherd Championships, 7th place. 2009 Ontario Regional championship, 2nd place, high score in tracking with 100. 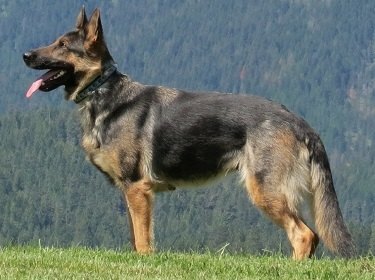 2008 Canadian German Shepherd Championships, 8th place. 2006 Schutzhund Estrie trial, 1st place. 2006 Schutzhund Estrie trial high score in obedience, tracking, and protection. 2005 Fundy Regional trial, 1st place, high score in tracking. Littermates; Holly; OFA Good/Normal, BH;/ Hexe; SG, KKL1, AD, SchH3, IPO3, 2009 Eastern Regional Champion,. Helma; (Police Quebec) / Hobby; BH.